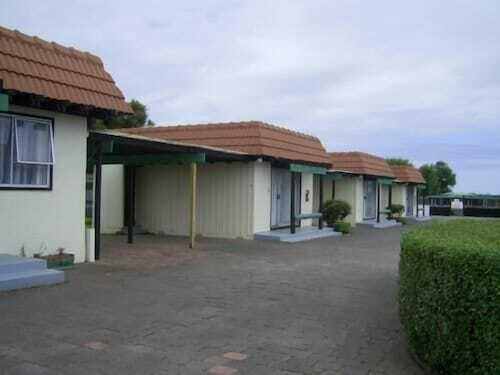 Situated in Otaki, this golf motel is 3.5 mi (5.6 km) from Otaki Beach and within 12 mi (20 km) of Waikanae Beach and Otaki Gorge. Southward Car Museum and Nga Manu Nature Reserve are also within 12 mi (20 km). 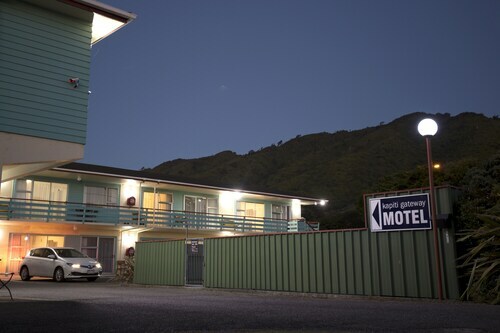 Situated in Otaki, this motel is 3.8 mi (6.1 km) from Otaki Beach and within 12 mi (20 km) of Waikanae Beach and Otaki Gorge. Southward Car Museum is 12.3 mi (19.8 km) away. Situated in Te Horo, this romantic bed & breakfast is within 9 mi (15 km) of Otaki Beach, Waikanae Beach, and Southward Car Museum. Nga Manu Nature Reserve and Otaki Gorge are also within 9 mi (15 km). 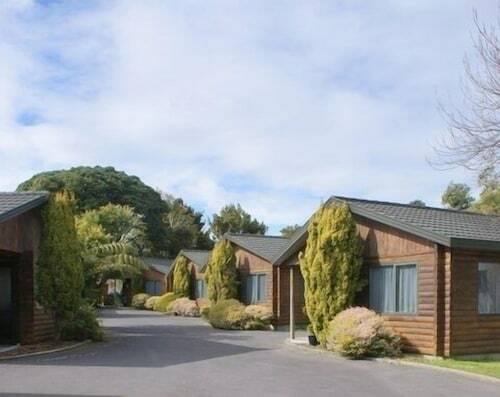 Situated in Waikanae, this motel is 2.4 mi (3.9 km) from Nga Manu Nature Reserve and 2.7 mi (4.4 km) from Southward Car Museum. Waikanae Beach and Lindale Park are also within 6 mi (10 km). 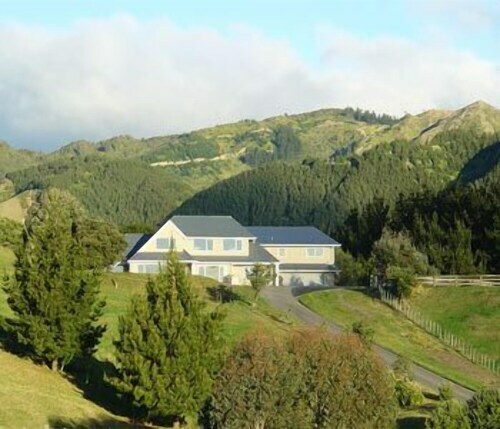 Located in the heart of Waikanae, this vacation home is within 6 mi (10 km) of Southward Car Museum, Waikanae Beach, and Nga Manu Nature Reserve. Lindale Park and Coastlands Shoppingtown are also within 6 mi (10 km). 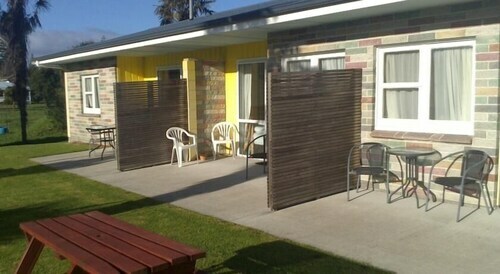 Situated in Levin, this motel is 1.5 mi (2.5 km) from Levin Public Gardens and 1.8 mi (2.8 km) from Levin Racecourse. De Molen, Windmill and Foxton Windmill are also within 16 mi (25 km). 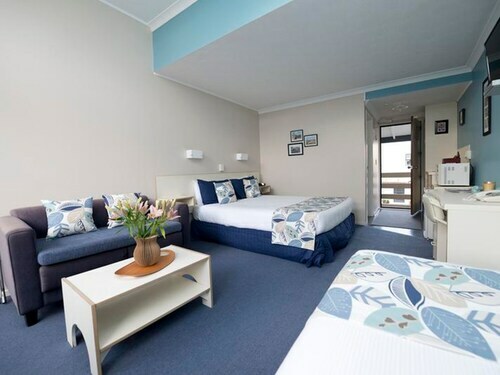 Situated in Paraparaumu, this motel is 0.1 mi (0.1 km) from Paraparaumu Beach and within 3 mi (5 km) of Waikanae Beach and Coastlands Shoppingtown. Southward Car Museum and Paekakiri Beach are also within 12 mi (20 km). Situated near the airport, this motel is 0.1 mi (0.2 km) from Paraparaumu Beach and within 3 mi (5 km) of Waikanae Beach and Coastlands Shoppingtown. Lindale Park and Southward Car Museum are also within 6 mi (10 km).